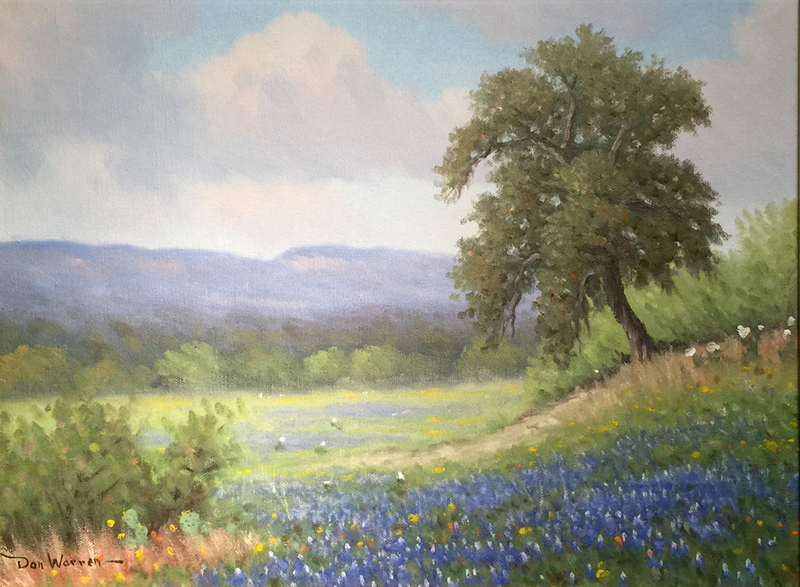 Most of my works are bluebonnets. 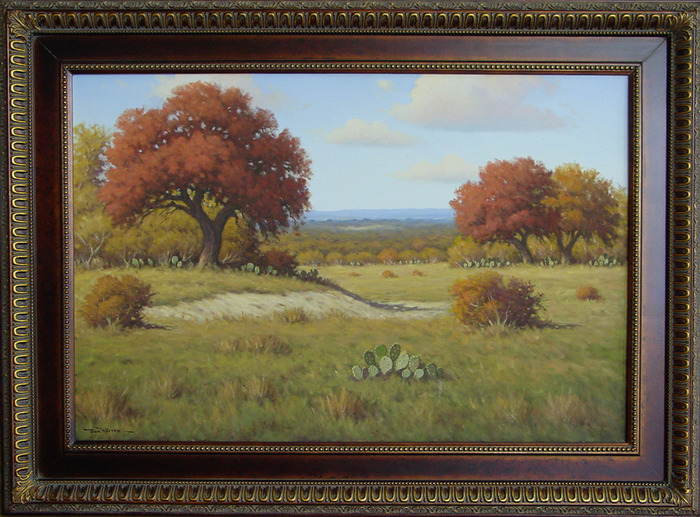 I knew both Porfirio Salinas and Robert Wood when he was in Texas. 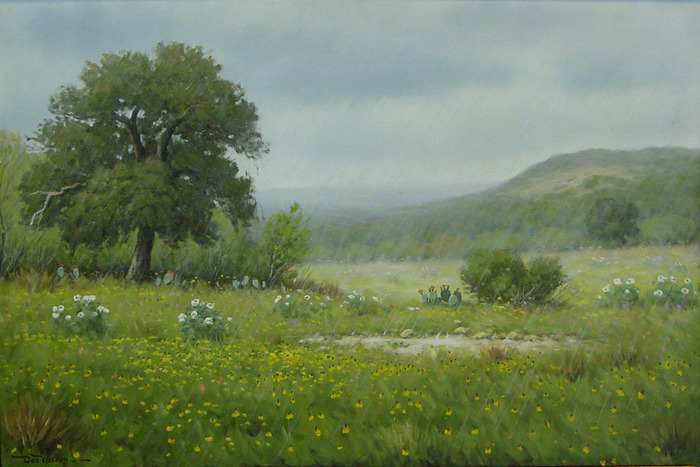 Robert Wood and I worked together in Violet Sigaloff's private studio in her home in San Antonio, Texas for about a week just a few months before Robert died. His daughter, Kitty Wood was my good friend, and she sold many of my paintings out of the Sigaloff Gallery there in San Antonio. 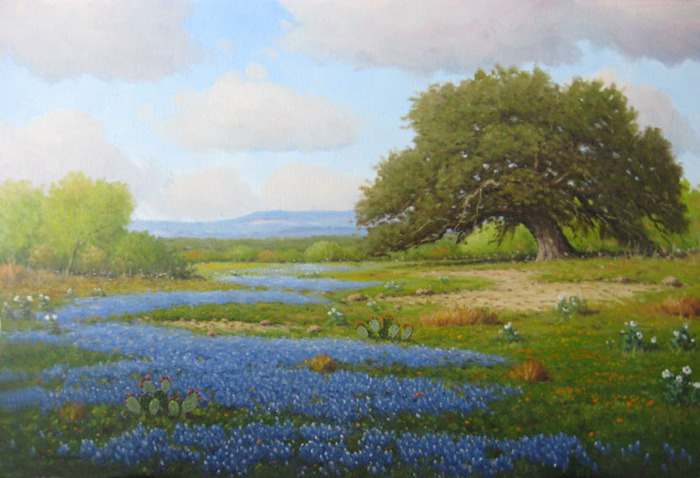 I learned to paint Texas landscapes by careful observation of Salinas Paintings. 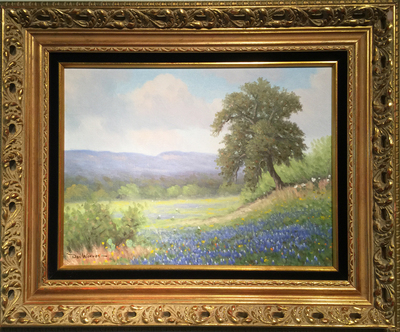 I am self taught, except for the few comments from Robert Wood when we painted together in Violets studio.